The National Monitoring Framework is a Scotland-wide project to monitor cycling levels and modal share with an open data ethos. 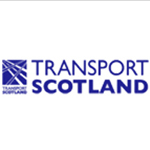 The ambition for this project is for all regions across Scotland to have a strategic monitoring system in place to provide data towards monitoring the levels of cycling in Scotland. The National Monitoring Framework uses fixed and temporary counters, cameras, manual counters and compliments existing monitoring schemes to build a picture of cycling rates across the country. Cycling Scotland is seeking additional partners to contribute to the further development of the framework across settlements in Scotland and help develop a long-term monitoring system.